SWITZERLAND, Basel — When the European Space Agency (ESA) allegedly landed the Philae spacecraft on the 67P/Churyumov–Gerasimenko comet which is reportedly traveling 84,000 MPH, you may have been thinking, wait, what, really!? Are you serious!? If so, you weren’t alone. Aside from the fact that the comet landing was strait out of the Hollywood movie “Armageddon” (1998) (see trailer) starring Bruce Willis and Ben Affleck, there are far too many anomalies surrounding the historic event not to scientifically reevaluate exactly what us Earthlings are being asked to believe. After all, neither NASA nor the ESA has put a man on the relatively stationary Moon since 1972 (allegedly) and its only 249,000 miles away from Earth. 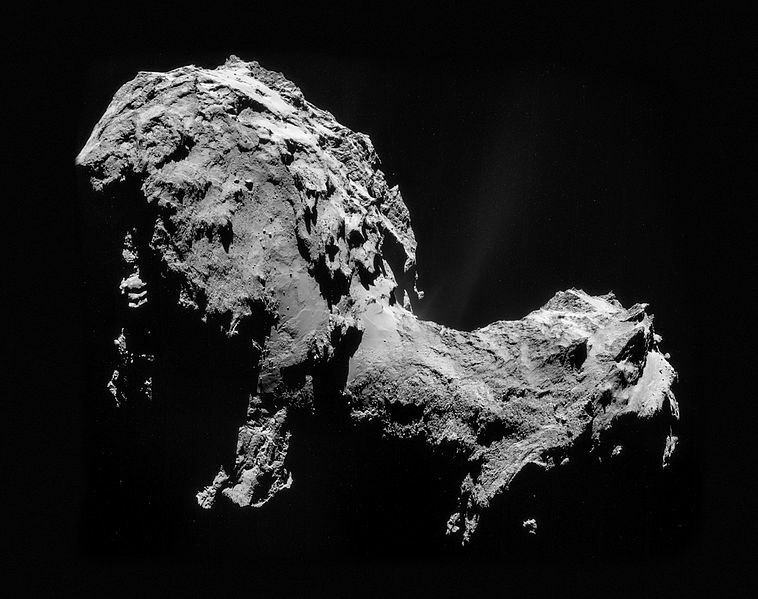 Conversely, the 67P comet is some 310,000,000 miles away from Earth and moving at 23.6 miles per second. Therefore, the likelihood that a 10-year old spacecraft landed on the comet first try around is highly improbable to say the least. Considering that landing on a flying space rock had never been executed let alone attempted in the history of mankind, the ESA either had a severe case of “beginner’s luck”, or the incident was an elaborate hoax. After reading the evidence depicted herein, chances are you will agree with the latter. According to Rosetta’s Wikipedia page, “Information gathered by [Rosetta’s] onboard cameras beginning at a distance of 24 million kilometers (15,000,000 mi) were processed at ESA‘s Operation Centre to refine the position of the comet in its orbit to a few kilometers.” However, to date, no “live” footage of the comet landing has ever been produced. Instead, the EAS released a 7:56:35 video which contains a lot of computer models, speeches and scientific cheerleading but no actual footage of the event. Since Rosetta and Philae are state-of-the-art spacecraft, the lack of video footage is highly suspect and suggests the ESA has something to hide. 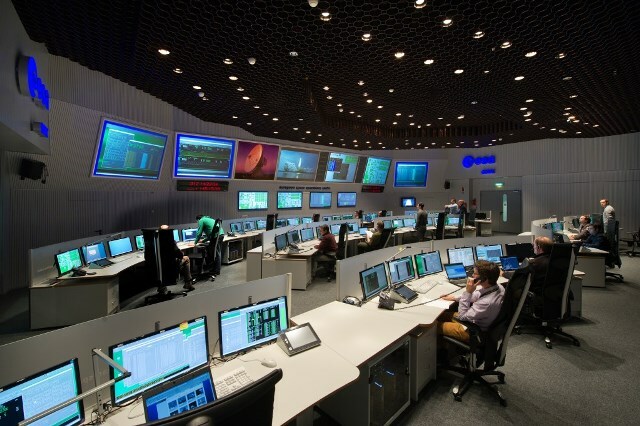 Philae’s alleged landing on the 67P/Churyumov–Gerasimenko comet was reportedly executed from ESA Mission Control at ESOC in Darmstadt, Germany. Considering that the comet in question is approximately 310,000,000 miles away from Earth, any real-time communication with Philae in respect to its navigation and precision landing on the comet which is traveling 84,000 MPH (23.6 miles per second) would have had to occur faster than the speed of light (i.e., 671,000,000 miles per hour). Even if the ESA was able to communicate with Rosetta and Philae at the speed of light (which they cannot), there would be an approximant 25-27 minute lag between operational maneuvers emanating from Germany and real-time maneuvers in deep space (i.e., this is calculated by dividing 310 million by 671 million). In short, it’s an impossible feat. For lack of a better analogy, it would be like driving a race car at 84,000 miles per hour with a 25 minute delay in respect to the road ahead. Needless to say, a fiery crash would be in short order. Considering that real comets such as Halley’s Comet are flying through space at an extremely high rate of speed, they tend to become rather aerodynamic over time due to the cosmic dust and cosmic rays (i.e., high-energy radiation) the encounter while careening though space. This is clearly not the case with the 67P/Churyumov–Gerasimenko comet which exhibits a rather odd boot or lion-like shape. In short, the comet is very un-comet like which suggests that its entire likeness was fabricated, most likely in an advanced form of Photoshop. In up-close Rosetta-based photos of the 67P/Churyumov–Gerasimenko comet from August 3, 2014, and September 19, 2014, there are no visible stars in the background. Outside the range of the Sun, stars are extremely bright yet there are none to be found whatsoever. Rosetta-based photos of the 67P comet from August 2, 2014 and August 29, 2014 depict a plethora of stars in the background, suggesting that the up-close photos of the comet were created in Photoshop. In up-close Rosetta-based photos of the 67P/Churyumov–Gerasimenko comet from August 3, 2014, and September 19, 2014, shadows are being cast on comet from the northeast. 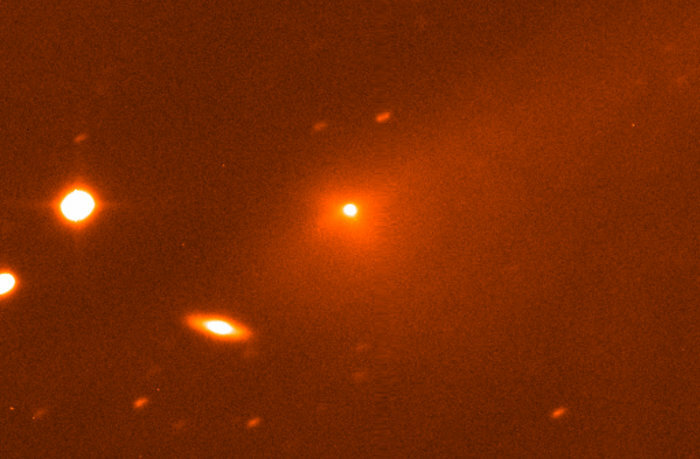 Considering that a flash was not used and the comet is roughly 310,000,000 miles away the Sun, the source of the faint light is highly suspect and remains a mystery. 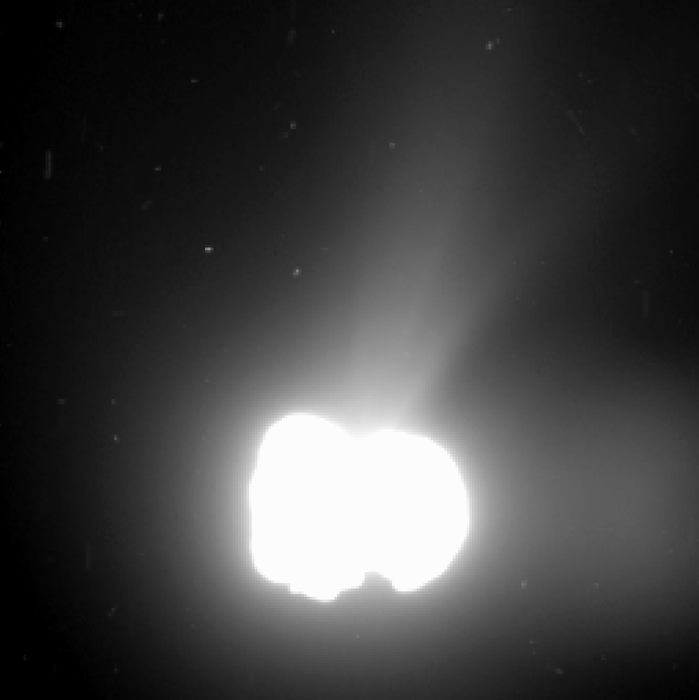 Conversely, in a Rosetta-based photo from August 29, 2014, the 67P comet is bright as the sun, dispelling the notion of an exterior light source. Needless to say, the ESA cannot have it both ways. Realistically speaking, the photos of the comet should either be white as the Sun or black as night due to the lack of sunlight. Anything in between is highly suspect. As depicted in the Rosetta-based photos of the 67P/Churyumov–Gerasimenko comet from August 3, 2014, and September 19, 2014, no visible vapor trail of hot gasses are emanating from the comet. In comparison to Halley’s Comet, a known comet, the lack of a vapor trail is highly suspect. In a Rosetta-based photo of the 67P comet from August 2, 2014, a radiant white glow is emanating from the comet, something which is curiously missing in the aforementioned photos. Considering that the 67P/Churyumov–Gerasimenko comet is allegedly traveling at 84,000 MPH, it’s extremely unlikely that a 220 pound spacecraft that’s only a few feet tall (3.3 x 3.3 x 2.6) would be able to withstand the white hot gasses erupting from the comets fiery surface. In other words, the Philae spacecraft would never be able to get close to the speeding comet let alone attach itself for an extended period of time. According to report dated November 13, 2014, Philae was only able to get two of its three legs in contact with the comet yet it had no problem staying upright or attached. A household chair cannot stand on three legs yet this spacecraft is standing on two while traveling through space? The Rosetta space probe and the Philae lander spacecraft were allegedly launched by the ESA on March 2, 2004, by an Ariane 5 rocket, reaching the 67P/Churyumov–Gerasimenko comet on August 6, 2014. Whether this event occurred in reality is not known, but the name Rosetta was evidently chosen because of its likeness to Rosetta Stone, an international language-based software company. Because the name Rosetta automatically invokes Rosetta Stone, it makes the notion of the Rosetta spacecraft landing on a flying stone in space seem all the more plausible. Considering that “Ph” often constitutes an “F” sound in the English language (e.g. Joseph, Phat, Pharaoh, etc. ), the name “Philae” can also equate to “Filae” or “Fool” as vowels in English are ambiguous at best. Considering that comet landing appears to be a hoax, the name of its primary spacecraft was appropriately named “Fool” for billions have succumbed to its fakery. 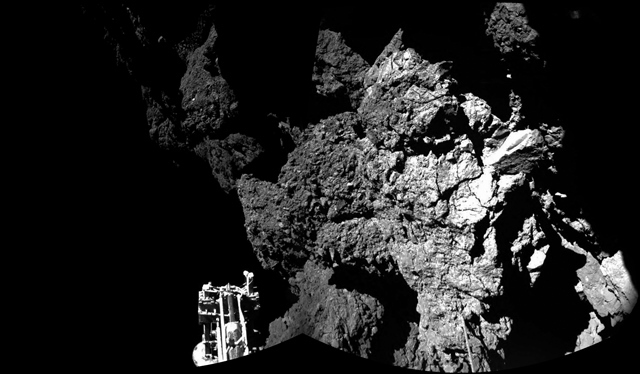 If reports are to be believed, Rosetta and Philae are now “Tweeting” from deep space. We can barely get reliable cellular and Wi-Fi service on Earth yet these spacecraft are Tweeting in real time from 310,000,000 miles away? Even stranger, it was reported on November 15, 2014, that Philae is “asleep” after its batteries ran out. One would think that the ESA would have installed batteries that last longer than 72-hours but clearly that’s not the case. Chances are it’s a convenient way of ending the conversation about the highly improbable comet landing before it even gets started. 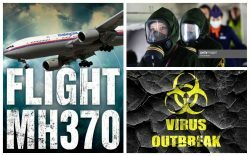 Needless to say, the technological contradictions surrounding the mission are red flags which suggest that the event never transpired in reality. Since the public can’t tell the difference between an asteroid or a comet, the landing of Philae on the 67P/Churyumov–Gerasimenko comet was orchestrated by the CIA (a global entity) in order to condition the masses for the man-made asteroid attack planned for 2014. 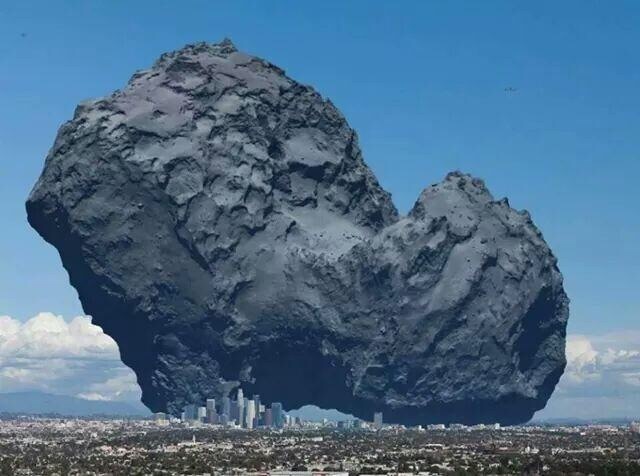 This particular notion was foreshadowed on August 19, 2014, when the popular science blog “IFL Science” published a report entitled “Graphic Shows The Size Of Rosetta’s Comet” which ominously depicted a photo of the 67P comet atop Los Angeles, California. 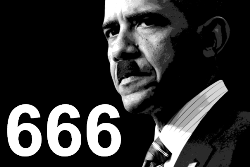 As former U.S. President Franklin D. Roosevelt once said, “In politics, nothing happens by accident. If it happens, you can bet it was planned that way.” The alleged comet landing is no different as it evidently has sinister ulterior motives.